Symbolic stewards Aquarius, Uranus, Saturn, culminates Mercury, imprisoned by the Sun, in the fall of Pluto. The eleventh house represents the life and role of man in groups and groups, his participation in group work and his attitude towards it. A group in this chapter is understood as a collective that has gathered to perform an activity that has a rather abstract goal, and is devoid of a hierarchical structure. Thus, it is possible to distinguish two distinctive features of the house: an un-purposeful group activity and the absence of rigid subordination. Too clear and concrete task usually sets a clear hierarchical structure in the team performing it: the boss, deputies, subordinates, etc., which corresponds to the 10th house. 11 the house also presupposes group activity, but its purpose, at least to the extent that it concerns a person, must be somewhat vague or unattainable, for example, restoring health and rest (say, during a hiking trip), knowledge of the world ( scientific collectives without a strong emphasis on practical applications), environmental protection, humanistic goals, etc. The second sign of the 11th house is the feeling of including a person in the collective as a necessary part of it, and ideally, the perception of the collective as a living organism, and itself as one of its organs or parts, a necessary condition for the existence and successful functioning of the group. Unlike the 10th house, where a person is associated only with the directly superior and downstream members of the hierarchy and is only responsible to them, in cases of house 11, a person is associated with many, if not all, members of the group, and is not only personally responsible to them, but also to group as a whole, or, in other words, its egregore. As always, the background for the house is the opposite, in particular, the background of the house is the feeling of the 5th; unlike situation 10 at home, where the primary goal, task, instruction of the chief (or practical spiritual master), when you include the 11th house, a person feels his personal importance and indispensability for the group: the function assigned to him can be fulfilled only by himself, with the help of Only one inherent set of external images and roles. There are also 8 houses connected to the groups; its difference from the 11th is that under 11th house there is a routine group work, when a person has already found his place in the team, and the collective functions in a normal mode, unlike the marginal situations of the 8th house, when a person is only a member of the collective or emerges from it, or extreme events occur in the life of the collective itself, sharply increasing the impact of its egregor on all participants. Under the 11th house there are all sorts of holidays, starting from birthdays (which, from the astrological point of view, is much more correct to mark on the day of solar transit on the natal ascendant, when a person leaves the confinement of the 12th house, grown wiser, serious and ready to design new features of his personality) and ending with national ones, when presidents and ministers smile at television cameras, trying to make an impression that they are the same people as everyone else. The idea of ​​the holiday is to reduce the tension associated with the need to achieve difficult specific goals and temporary replacement of the rigid management of the home with a free feeling of a living group organism that is happy with the self-expression of any of its members (the balance of the 11th and 5th houses). In 11 houses there is mass culture, choral singing, circles of amateur performance, popular education and mass art, which produces and consumes the national egregor, with insignificant oppression of the personalities of both its creators and consumers. In general, all the mass, "popular" movements go mainly under the 11th house (excluding extreme situations, for example, a war that is managed by the 8th house). They are characterized by the leveling of the role of individuals and the emphasis on collectivism, or, as they used to say, conciliarity. In general, the imbalance between the 11th and the 5th houses in the direction of the 11th, in particular, the fetishization of group reason, ethics and aesthetics, is characteristic of many social trends; opposing views - the emphasis on the 5th house as opposed to the 11th, was reflected in the concept of "art for art" and the assertion of the absolute independence of the creative personality from the surrounding world and society. At the first level of elaboration of the 11th house, a person belongs to a group of which a member is a parasite. All the time, not related to the direct consumption of the group benefits that he receives, he dedicates to finding out who is not working enough in the group, and maliciousness about him, which, incidentally, does not at all mean that he will be an indispensable member of the Audit Commission, since he will not become anything in this post. For this level, it is characteristic that the group does not manage to get a person to work, because it is filling up any task assigned to it, sometimes on purpose, so that they do not charge any more. The collective, as a rule, knows the value of similar members, but does not always aspire to re-educate them or get rid of them, in particular, because when trying to pressure from the collective this person either instantly recognizes all their sins and promises to improve, Do not beat (the way of behavior, typical for 11 houses in the female sign), or starts to raise such waves of the lower astral (to arrange squabbles, scandals, complain upward, etc. ), which seems much easier to not touch it at all (typical for 11 houses in the male sign). Deep inside this person does not feel himself a member of any collective, although it can parasitize many. In other words, he never feels responsible for the fate of the group he is in, and he does not understand what it is. In general, for 11 houses there is personal responsibility for the fate of the group and its activities, while 10 houses are responsible for their personal obligations. There are no friends as such; there may be brief alliances with other people, meaning the joint holding of time, but the community, which is given by non-purposeful collectives, is unclear to the person and causes irritation. Accordingly, communication in clubs, clubs, sections and any groups that do not have a clear and achievable goal does not go to him, or he goes there with personal goals that differ sharply from group ones, which causes dislike and rejection of the group. Self-expression within the group does not work for him, and he tries not to pay attention to himself or tries to shift the attention of the group completely to his personality, not caring at all whether the group is interested in his speech. At the second level of elaboration of the 11th house, the elements of group consciousness appear in man; he realizes his dependence on the group and feels, to some extent, his direct influence on her. He still closely follows the process of distribution of group benefits, but at the same time he feels the desire to do something for others, supporting its existence in the environment. This person feels a certain responsibility to the group for their actions, and also (usually to a lesser extent) responsibility for the group's actions in the outside world. In particular, the external actions of the group become important to him, which he begins to perceive as a moment of personal self-realization (at the first level of study this effect is absent). Now the moment of interdependence of the members of the collective is perceived by the person to a certain degree positively: it is pleasant for him to work alongside others, feeling unity - this is often one of his best meditations (at the first level of study, dependence on the members of the group is perceived only negatively). At this level, the person understands the need for his adaptation to the group, but he can not always do it. For friendship, this person is serious, sometimes puts friendship above love, considering the first more pure and sublime, and finds it reprehensible to assert itself at the expense of friends; appreciates a true friendship and tries, as far as possible, to not betray friends. Friendship seems to him a self-sufficient value, regardless of the kind of joint activity and the nature of personal relationships; in particular, the person does not feel responsible for the actions of a friend and, in general, his evolutionary level, or he is superseded. Communication in clubs, interest clubs, sports clubs, etc. can occupy a large place in his inner life, on a par with or even more than professional activity; in any case, a person sees these and similar other people's collective activities as very significant in life and potentially giving great opportunities for self-realization. Here, self-expression in the team already implies a certain level of elaboration of the 5 houses; those. personal expressive means, for which a person is loved and appreciated. Nevertheless, he can feel himself a true member of only a small team, with whom he is fairly familiar. 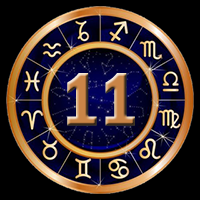 At the third level of the development of the 11th house, a person usually plays a significant role in the group and feels well the group egregore, not only the general mood of the group, but also the most urgent problems and ways to solve them. He feels a great responsibility to the group not only for his behavior within its framework, but also for his vision of the group situation and the transfer of necessary information to the group or discussion and development of further tactics of behavior; no less responsibility for a person feels about the impact of the group on the outside world and its inverse influence on the group, it is affected by the external behavior of any member of the group, even if they do not directly interact in the group. At this level, the person quite accurately sees his place in the group and tries to occupy him; and although the corresponding adaptation may require considerable efforts from him, external and internal, he feels that they need him and are ultimately useful. He is worried about the group's external activity, but at the same time he understands that a significant part of the group difficulties is related to the process of teaching her members to group work as such and spares no effort in this direction, commonly referred to as uniting the team, trying to make it happen at the maximum a possible evolutionary level. To his friends and friendship this person is very responsible; and internally (for himself) is responsible not only for personal relationships with friends, but also for their entire life as a whole, feeling it as part of their own. Accordingly, he presents to them certain (perhaps, each his own) moral requirements, some of which are immutable, so that the violation can lead to a complete breakdown of relations. On the other hand, in the course of communication with this person, friends grow spiritually and develop, in what they see their direct duty and self-realization. In general for him, self-expression within the group goes all the time, both in the internal and external work of the group, no matter whether he takes personal part in it or not. At the fourth level of elaboration of the 11th house, a person well sees the egregors of the groups in which he participates (and some others too), and perceives group work as part of the evolution of a subtle and, of course, dense worlds. His responsibility extends not only to the groups in which he directly participates, but also to all the egregors visible to him, within limits, of course, of his realizing power and available karmic programs. However, he does not consider his obligations from the point of view of the direct meaning of the activities of his group, but mainly from the position of the significance of her actions in a subtle body, which is given to the average member of the group only in an intuitive and vague vision. Usually the main thing in any group activity is not the external result, but the quality, i.e. the evolutionary level of the collective, whose growth helps the spiritual growth and solving the karmic problems of its individual members. When the collective solves the internal problems of its development, its external problems are solved easily, almost on their own, and at that moment a person can leave it to go on the next development of the space program; however, the egregor (and the collective) will feel for a long time, which, in fact, will consist of his personal self-expression in this collective. The relationship of this person with friends will not be easy, his demands and energy can not be easily maintained; the style of friendship will show the sign on the top of the 11th house, but in any case it will require great inner effort and constant expansion of consciousness, not to mention evolutionary work, whatever forms it takes. For the expressed situations of the 11th house there is an acute sense of their participation in the work of the group; a person feels like he needs her, and that all the other members of the group feel the same and do not exchange it for anyone else, and he feels similar feelings about the other members of the group. Under 11th house there is a specific friendly conversation, when a person can on behalf of the collective express such assessments and claims that he will never accept from any single person, and the transition of psychologists from work as a couple (doctor-patient) to group psychology is of fundamental importance, work under the 11th house is much more effective in many respects than under the 7th: in the second case one person treats, and in the first case a whole group egregor. With the right inclusion of the 11th house, a person has a feeling of personal self-expression in the group, whatever she does: so, at a good fair or at a festive concert of amateur performance a person has a feeling that he is everywhere and everyone is he; and the seller, and the buyer, and buffoons, and the puppeteer, and the musician, and the poet. The first school of the 11th house is a family in which the study of 11 houses is the proper distribution of duties and responsibilities, as a result of which not only the holes in the family egregore (and, consequently, the budget) are blocked, but also the much more educated and evolutionarily developed children grow up. Strong 11th house gives a person who literally can not live without a team, and wherever he turns out, social life begins around him, in which he takes a direct part. This person is a public figure by nature, but, especially with a weak 10th house, does not like to deal with the achievement of specific goals, he is more interested in the inner life of the group, it is he who touches, pleases, saddens and worries. At a low level, this person will rush from one member of the group to another, actively consuming all available group benefits and watching only that the others will not surpass it, but even in such a seemingly purely negative role, he can indirectly to serve as a rallying group or, at least, awareness of its shortcomings. When developing this person can become the soul of the group; he will help in solving the most intricate and intimate problems of the life of the group (and its members), but only as they naturally arrive at it. This is the difference between a person at home and a person at home: the second commander, and the first one comes with problems, and any of his actions (at least in the course of elaboration) are carefully coordinated with the whole life of the group, which is primary to him in relation to his will . Even if (at a low level) this person begins to abuse his opportunities in the group, he becomes not a usurper of power, but a parasite that can literally eat a group from within, but will not become a tough leader and boss. With a weak house it will be difficult to separate him from the group and make him play his role, he always chooses to direct others and look at their game and work, but in the shower he will want to stand out in front of his team so that he sees and appreciates his personal role in the group affairs, and here, if you do not work out the 5th house, i.e. do not go out to the stage of the amateur theater yourself, there may be strong complexes and feelings of dissatisfaction with oneself, lack of personal self-expression, resentment towards the collective, and the corresponding vishytic mood (position: "I am breaking up for you in cakes, and you are all ungrateful lazy people and parasites")) . Weak house 11 gives a man without a strong sense of the collective; he will not be embarrassed by the lack of friends in the case, which he is engaged in, although if he has like-minded people, he will not object. He does not like the idea of ​​a person's strong dependence on the team, at least for himself, but the idea of ​​the support that the collective can give to the person, the mental (ie, he understands what is happening), or material. He also understands the responsibility for the collective in front of it: it is purely practical and limited, exactly as much as it is said; however, the collective is not likely to assign great responsibility to it. On the other hand, in those rare cases when a person needs the help of a collective, he usually will help to get it through some efforts, but he will not feel special emotions towards the collective, like the group to him. The labor impulse and enthusiasm of the group will affect him weakly, except for marginal situations (groups and him) when the 8th house is included (and, therefore, it is necessary to look at its aspects). Here, self-expression in the framework of group work and friendship is difficult, and to develop the 11th house, it is necessary to cultivate a sense of personal responsibility for internal and external circumstances and the affairs of groups of which a person is a member; otherwise, in the second half of his life, he may have constant conflicts with collectives, and he will absolutely not understand what is their reason. With a strong 5 house, internal disrespect for any group is possible, position: "The only thing they are good at is to admire with admiration how wonderful and versatile I am and admire my roles and images", i.e. a man thinks himself on the stage, and the rest of the collective in the orchestra, which is fraught with a fall into the orchestra pit. Harmonious 11 house gives a natural and easy existence of a person in the team; he is loved there and does not overload the work, but they will never be forgotten when distributing goods. He gets much more group love than the average member of the group, and detractors in it, as a rule, a little and they are not too active. The very appearance of this person in the team smooths out many contradictions and raises the general mood, not to mention the productivity of labor, as far as this concept is applicable to 11 houses with its unattainable goals. At a low level, a person enjoys all of this, without making almost no effort for the common good, so that eventually becomes an outspoken lazy and parasite of the group; the study gives a constructive load to the harmonious aspects, and they begin to work on the group, increasing its evolutionary level. Next to this person it is good to work, and it is wonderful (although sometimes boring) to be friends with him, if he is inclined to spend even a little effort on this; if he does not, then after a while he begins to feel ambiguous feelings towards the group, like to a beautiful empty chocolate box. This person is drawn to harmonious collectives, who are set up for group consumption (club of cheese or cartoon lovers), groups with a tight program (heavy tourist trips), it is most likely not attracted. If he still finds himself in a heavy group, he sometimes, if he wants, can pull it all up, revealing the true power of his aspects, which he never suspected. In friendship on a superficial level, a person will behave almost perfectly (and friends will always be more than he needs); a little deeper, he will be a little lazy and inclined slightly (but very charmingly) parasitize on a friend, replacing the effort with charm; As for hard trials, much depends not on the map, but on the evolutionary level and choice of the person himself, but still, in the case of group difficulties, it is easier for him than for his comrades (here, however, we need to look at the map as a whole). To group difficulties, this person in principle is very calm, being firmly confident that as a result, everything is automatically formed, and his self-expression in the group is easy and natural. The stricken 11th house gives great difficulties in group work and in relationships with friends. In group work, whether he wants this person or not, he constantly turns out to be the weakest or most conflicting link, creating a maximum number of inconveniences and poorly solvable problems for the team (which will be shown by the tense aspects of the house, for example, the opposition to the 5th house actualizes the problem of "personality - collective "and the corresponding relationship, and this is not necessarily just his personality). Thus, this person objectively is the center of attraction of group problems, which materialize on it, therefore, his right grouping and working out his group situations (as well as corresponding internal problems) facilitates many group difficulties. On the contrary, the reluctance to deal constructively with one's own difficulties in the team leads to a sharp aggravation of both the situations of the individual himself and of some general group problems, and often, with the unwillingness of the parties to find a solution acceptable for both, the situation comes to a standstill and can not be solved for years, or the person voluntarily (or forcibly) leaves the collective, and both soon get the actualization of the same unsolved problem, but on another material, often even more rigid: a person in a new collective, a collective with another member. Subjectively, this person always pulls into tense groups and group situations, otherwise (to one or in a quiet place of the group) he is bored. However, the study of the affected house is not easy, since it requires a high level of selflessness and the ability not to fuss at the fat piece of the lazy but harmonious comrade, having received the most hardened crust for a much more difficult, unpleasant and responsible work, the disruption of which would have extremely serious consequences for the person, and for the group. Here, in the 11th house, the Sun is symbolically imprisoned, which, when working out, demands the abandonment of an egocentric position; but working out gives a way out directly to the group egregor and the possibility of direct work with it, so that a person becomes, in the old language, a good genius of the group, as opposed to the role of her black teacher, which he naturally has in the absence of elaboration. Relations with friends are tense, often poor mutual understanding, resentment, long periods of alienation, which, however, gives both sides the impetus to work on themselves, and over time, friendship, if it survives, becomes real, tested and reliable.